I’ve been a fan of the Jack Lark books since I first picked up ‘The Scalet Thief’. Paul Fraser Collard has created a character and an overall story that was fresh, new and exciting, and while it looked like it might be a ‘one hit wonder’, he has consistently proved otherwise. I have heard Jack Lark being described as ‘like Sharpe’. To some extent that’s true, but we’re just about at the point now where I would say Sharpe is like Jack Lark, for he is a far more vivid, exciting and three dimensional character than his Napoleonic comparison. This is an absolute cracking book. Collard proving he deserves to be placed among the very best writers in the genre. HIGHLY recommended. Caroline Lawrence is an established author of chidren’s historical tales. In fact, there are probably few to match her. She is perhaps even the 21st century’s Rosemary Sutcliffe. There are books that I consider to be children’s books, and there is another section, not quite this whole Young Adult thing, but clearly above the true children’s band. It is an interesting world, where the writing must still be aimed at young readers, but the content and themes can be more adult. Lawrence is the mistress of this style, for me. I read QOTSA to my kids over a number of nights, and we all enjoyed it. They are a little young in truth for the book, but both mature enought to handle everything within. Callie enjoyed it for the tales of the heroic princesses. Marcus enjoyed it for the battles. I enjoyed it for the history. QOTSA is a fascinating book. Firstly, though, a word about content. As with most great tales of the classical era, it is filled with a number of darker moments. Death in battle, the killing of animals, parental abandonment and so on. If your son or daughter is old enough to understand these things and not be adversely affected, then this book is pure gold. As I said, mine are still quite young, but we have finished the book without them being troubled by anything. In fact, I laud Caroline for tackling the more adult themes in a sympathetic and readable manner. But what is Queen of the Silver Arrow, you say? Well, it is one of Lawrence’s current series of reworked classics. 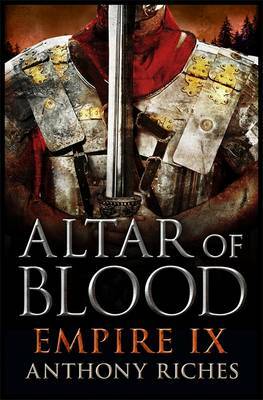 Like her other book in the series – The Night Raid – this is a retelling of a tale from Virgil’s Aeneid. This is the tale of the Trojans arriving in Italy and the native peoples rising to meet them, especially the young huntress Camilla, beloved of the Goddess Diana, who with her few companions will attempt to turn the tide against the invader only to learn harsh and unexpected truths in the end. The final chapter, something of an epilogue, was really quite impressively emotional. All in all, a great tale, challenging, yet interesting for kids, fascinating and strong for adults too. I have a growing fondness for historical mysteries rather than the straightforward military novels or sagas or character biographies. Over the past year or two I have discovered Robin Blake, William Ryan, Luke McCallin, D.E. Meredith and others. But my favourite series is still Ruth Downie’s Ruso books. I read the first two a while back, but have simply not found the time to catch up with the series. Well last week I decided to change that since for once I did not have anything to read to a deadline. The first of Ruth’s books (Medicus AKA Ruso and the Disappearing Dancing Girls) introduced us to the Roman doctor Gaius Petreius Ruso, as well as to his friend Valens and the headstrong native British woman Tilla. 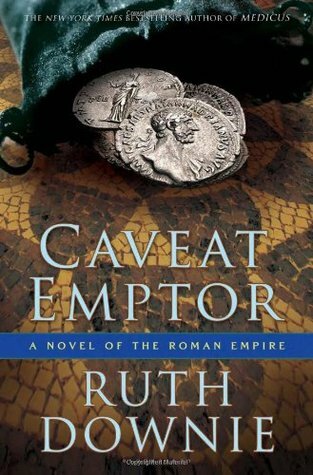 It was set in Chester (Deva) in the reign of Hadrian and immediately hooked me with its clever mix of intricate plot, believable characters, well-dressed setting and gentle humour. The second novel (Terra Incognita/Ruso and the Demented Doctor) was somewhat darker to my mind, following the escapades of our favourite pair in the north, among the forts on the Stanegate where the emperor’s wall will soon take shape. Involved with a native uprising and brutal murders, there was much development in particular of Tilla’s character. This third installment is so far very much my favourite. Why? Because it has everything that swept me away in the first book, and so much more. Summoned back to his family’s farm in southern Gaul by a mysterious note and with a medical furlough from the army with a wounded foot, Ruso and Tilla hurry back to their lands near Nemausus to find out what has happened. Cue a beautifully involved plot involving a poisoning, a ship lost at sea, bankrupcy, double-dealing, misdirection and business deals gone horribly wrong. I won’t spoil the plot, but my minor spoiler would be that when the man visits Ruso to discuss his debts and then drops dead in front of him, I almost laughed aloud, realising what this would mean with regards to the suspicions of murder. It is simply beautifully executed, but with a new added facet: Ruso’s family. An overbearing stepmother, a brother with his head in the sand, an enthusiastic sister-in-law, demanding and disobedient sisters, a worrying ex-wife, a disapproving ex father-in-law and a pack of small children. And more… the cast goes on, and yet each is lovingly treated. The interactions between the characters are what truly make these novels for me. Yes the plot is excellent, this history faultless, the prose graceful and the atmosphere absorbing, but the icing on the cake is the dialogue. Ruth is plainly the mistress of dialogue.I annoyed my wife yesterday by chortling reapeatedly and interrupting her to read her the choicest snippets. Because Ruth’s dialogue never fails to raise a smile from me. It is often wonderfully light-hearted and engaging, and yet at no point is it in any way unrealistic.